(p1) A group of school children from a village in China must take a dangerous journey. If they want to get home, they have to climb a big mountain. 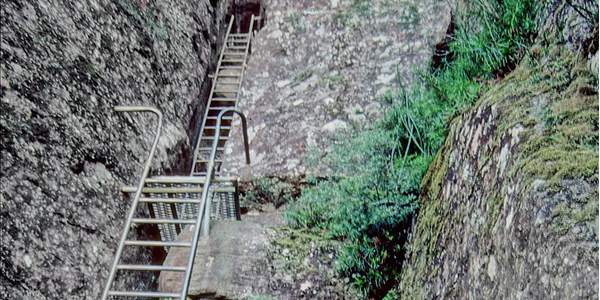 (P2) The children climb about twenty meters on the ladders to the top of the mountain. They carry their bags and other things, too. A dog also uses the ladders. (P3) Parents are always very happy when they see their children again. The parents want a better way to get into their village. They also believe that a better future lies in their children’s education. How did you get to school when you were a child? Do you think the children should have a better way to get home? Why or why not? Do you think all children in your country get a good education? Why or why not? What do the children climb to get home? What do they use to climb the mountain? What animal climbs the ladders also? What do the parents of the children want?